Αν αυτό που ψάχνετε είναι ένα ξενοδοχείο σε καλή θέση στη Colombo, μην ψάχνετε πέρα από το The Penthouse Above Sea. Σε απόσταση μόλις 1.5 KM από το κέντρο της πόλης και 35 KM από το αεροδρόμιο, αυτό το 5 αστέρων ξενοδοχείο προσελκύει αρκετούς ταξιδιώτες κάθε χρόνο. Με την βολική του τοποθεσία, το ξενοδοχείο προσφέρει εύκολη πρόσβαση στους προορισμούς της πόλης που πρέπει οπωσδήποτε να δείτε. Το The Penthouse Above Sea προσφέρει άψογη εξυπηρέτηση και όλες τις βασικές ανέσεις στους ενθουσιώδεις ταξιδιώτες. Το ξενοδοχείο σας προσφέρει μια μεγάλη επιλογή υπηρεσιών, συμπεριλαμβανομένων των δωρεάν WiFi σε όλα τα δωμάτια, 24ωρη φύλαξη, παντοπωλείο, ημερήσιος καθαρισμός, παράδοση ειδών παντοπωλείου. Επιπλέον, όλα τα δωμάτια διαθέτουν ποικιλία ανέσεων. Πολλά από αυτά παρέχουν ακόμη και επίπεδη τηλεόραση, επιπλέον μπάνιο, επιπλέον τουαλέτα, κρεμάστρα ρούχων, δωρεάν καφές φίλτρου προκειμένου να ευχαριστήσουν ακόμα και τον πιο απαιτητικό επισκέπτη. Το ξενοδοχείο προσφέρει μερικές μοναδικές ευκαιρίες ψυχαγώγησης όπως οι αίθουσα γιόγκα, γυμναστήριο, εξωτερική πισίνα. Όποιος κι αν είναι ο σκοπός της επίσκεψης σας, το The Penthouse Above Sea είναι μια εξαιρετική επιλογή για την διαμονή σας στη Colombo. Pros- -Luxurious public spaces with beautiful artwork, including absolutely amazing paintings done by host. -Gracious and informative hosts. Lots of personal attention given. 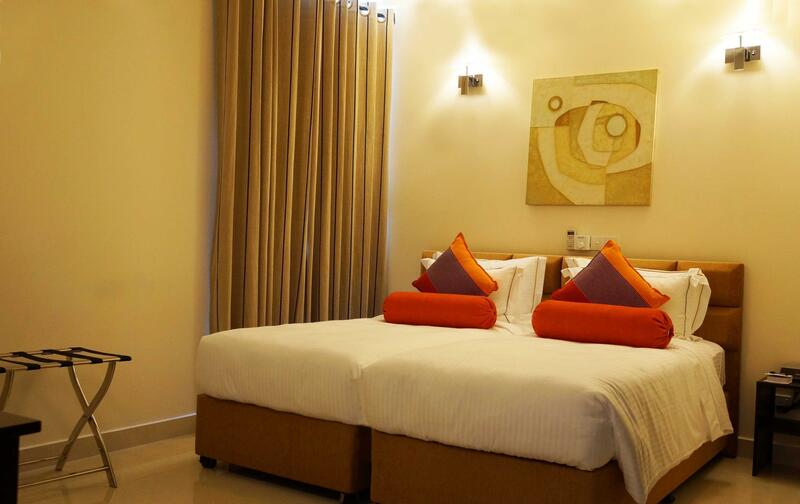 -Clean, modern rooms with unbelievably comfortable bed and great bathroom. -Delicious breakfast, homemade by the sweetest women you will ever meet. Great place to get acclimated to Sri Lankan culture. We have been traveling for over 8 months and this was one of our top stays so far. I couldnt have asked for more. So much enjoyed my stay in this wonderful nice and cosy place. Great view, the whole apartment was set up with so much love to the detail, breakfast was wonderful and the hosts made my stay an unforgettable one. Definately a must go when in Colombo. Although outside of Colombo city this place was a wonderful stay .. great hosts and great views of the city and beachside .. exceptional breakfast and staff and very comfortable room .. our private and large bathroom outside of room (not an issue for us). Definitely will stay here again when in or near Colombo. Aesthetically awesome! Comfortable and high quality linen. Excellent breakfast options from a small buffet. The owner and staff were very helpful and nice people. Great location too. Would highly recommend this place. It is located on the 15th, 16th and 17th floor (with 2 elevators). Definitely tsunami proof, safe and great city view from Balcony. Rooftop swimming pool looks great. Room very good and clean real penthouse. Nice breakfast. Very warm welcome from host and good information provided over the room on arrival. 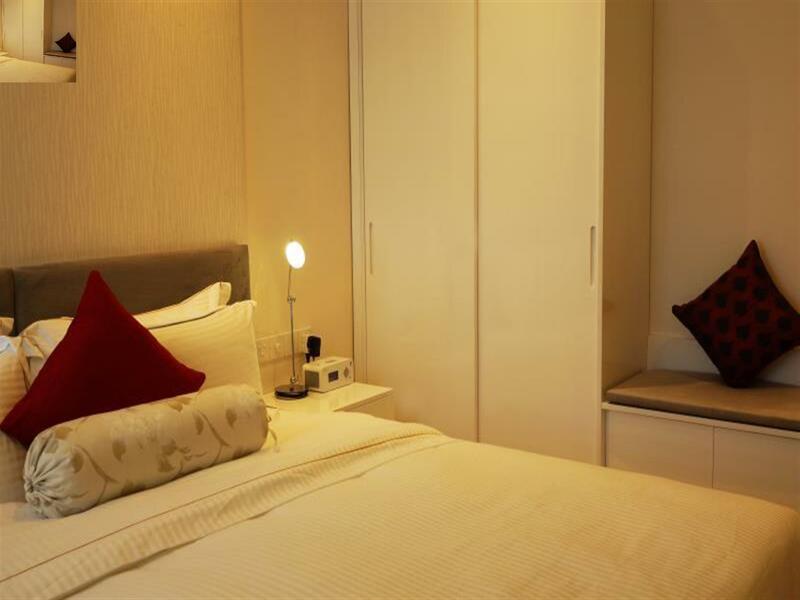 Room is as promised and private (looks as new) every 3\4 rooms also have a shared central room with small kitchen. It is walking distance to Mount Lavina and Beach. You can take a tuk tuk to the slave island city center for dinner (about 30 minuts ) we went to Tao *Chinese restaurant (also nice). We Recommend this Penthouse !! 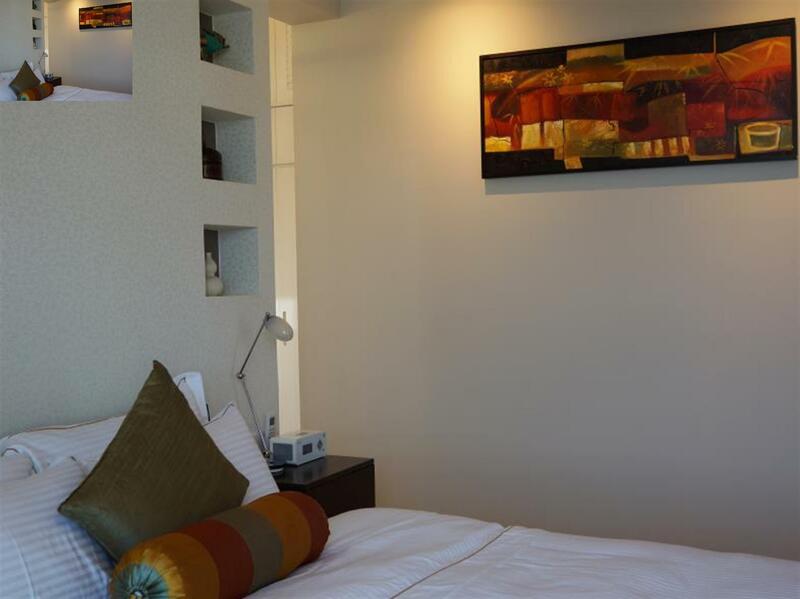 Very modern, clean hotel, large rooms within a penthouse floor. 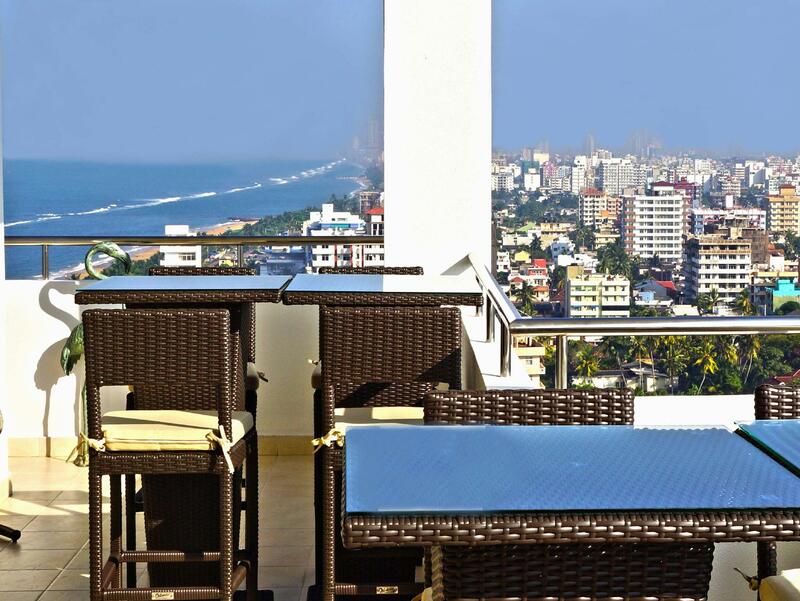 Some with balconies with views of Colombo suburbs and some with beach views. Great friendly staff, and breakfast was very delicious. Some Sri Lankan specialities, and more western regulars. Great ocean views. Not centrally located. The room weve had was quite compact, with no opening windows and felt claustrophobic. You had to step out onto the balcony or open area's to enjoy some space. Wonderful staff, personal attention and a good breakfast. 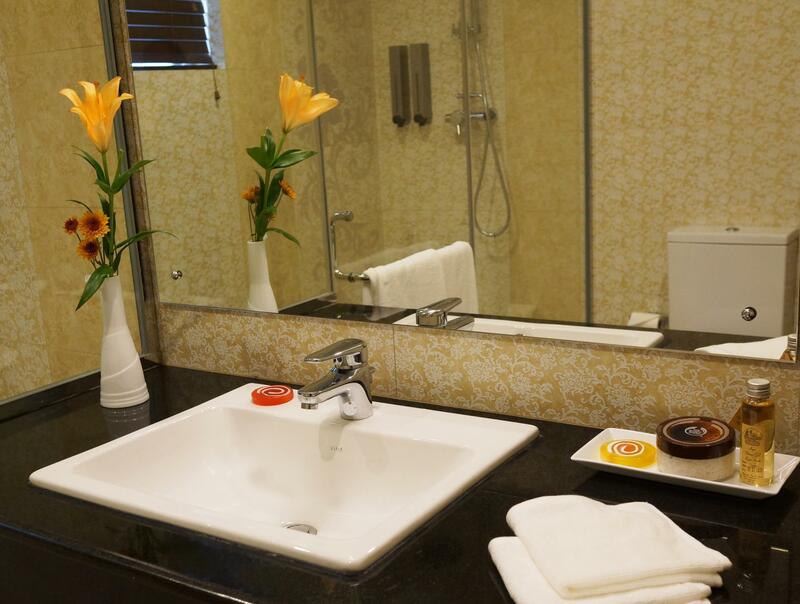 The place was very well equipped with amenities. There was nothing that the place did not have -- a very clean bathroom, excellent wi-fi and more. We were at the place for less than 10 hrs, hence did not get to have the breakfast. The location of the hotel was slightly disappointing as it was very far from the central hub of the city. Great hotel.The service was fantastic, the rooms were very comfortableHotel is right by the railway station, on the 15 and 16th floors and with magnificent city and beach views. Good breakfast and fantastic hosts. Thank you! This fabulous hotel make their promise on their website completely TRUE!! Easy to reach and direct at sea. Beautiful view during you breakfast at Colombo City and the coastal areas. 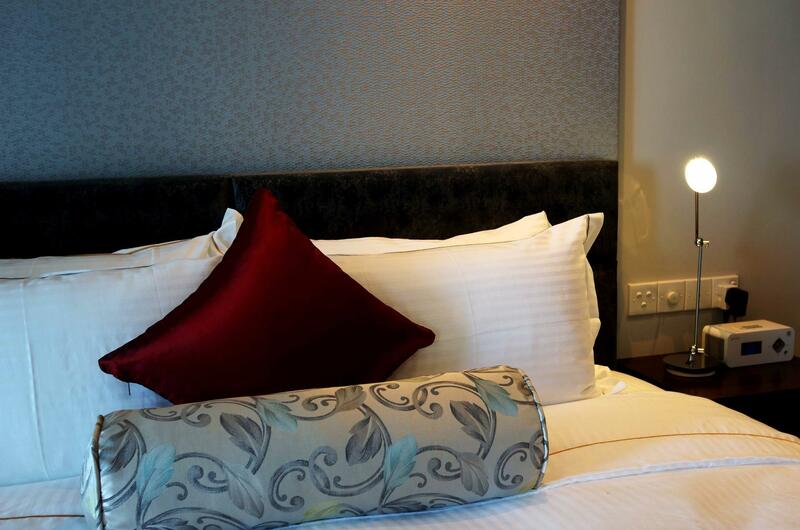 Rooms are outstanding complete, clean and beautiful decorated. The staff is like family, very friendly and helpful. A must for anyone who wants to go to Sri Lanka on vacation. Personal and personalised service Welcoming from arrival (at 2.30am due to a delayed flight) til departure. We loved our stay here. Well appointed rooms, comfy bed, common lounge area access, sea views, the ever helpful Chitra as hostess ... and the breakfast was a real highlight! Daily tasting of different delicious local curries, and western options if needed. All the warmth of a B and B with the amenities of a great Hotel room, without the expense. While out of the city centre access is easy by tuk tuk. We recommend (in addition to the regular tourist sites): Colombo walking tours; people watching at Pettah market; walking on the beach and around the local streets to get a taste of daily life; coffee ( and shopping) at Barefoot garden cafe; a visit to the Museum and Viharamahadevi Park; head over the road to Cotton Collection .. but eat at Simply Strawberry... or head down to Paradise Road Cafe for coffee and interesting homewares; and in the evening wander up station road, head up the hill and eat at Malay Restaurant (ask for Anthony)... try the Kotta! Only stayed there less than 7 hours as my flight has been delayed badly. Location next to sea therefore good sea view. Premise is further out from Colombo city center. This is a high class airbnb. As it is a Penthouse. Owner is very helpful as he waited for us arrived in the premise after midnight. This penthouse is decorated very nicely. Breakfast is superb especially the Sri Lankan chicken curry. Aircond need to service in room number 2 room. It has ceiling fan so it was fine for me and my wife. Shower was good and bathroom is sparkling clean. A place for gateaway i would recommend. Lovely rooms, fantastic views, friendly hosts, couldn’t be more helpful. Nice welcome drink on reception and nice selection of local organic produce for breakfast, plus eggs. A little away from Colombo centre but an fairly quick tuktuk ride - 300lkr. Would definitely recommend. Additional point- be aware the entrance is down the side of the building past the security barrier, building b, and head to floor 16. We got a little lost and had to ask for directions. Highly recommened for couple, less so for family with children. 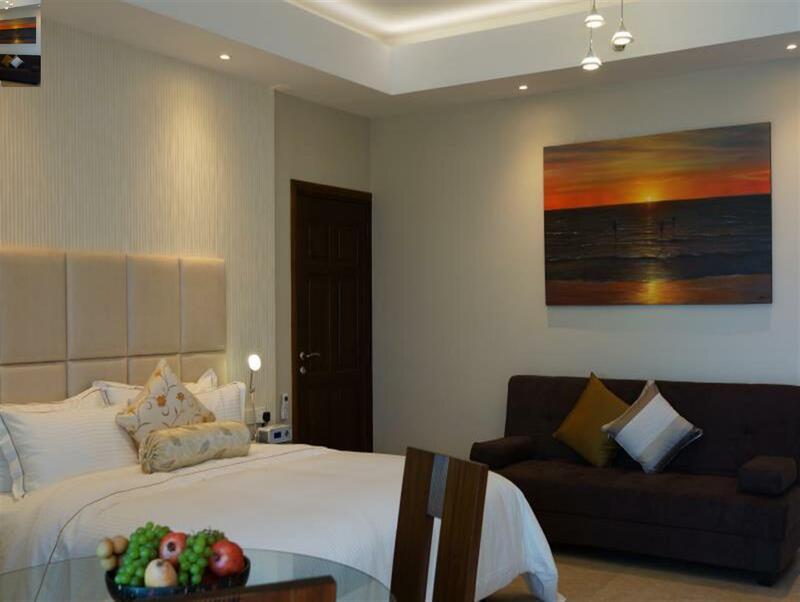 A very new property located centrally in Colombo. Furnishing is fabulous and tastefully designed. Excellent home-style breakfast, healthy and nourishing. A nice host with a full team of support staff who will make you feel at home.